12 Pink Fuzzy Pens. Each pen features a bendable teddy with balloons attached on the top. 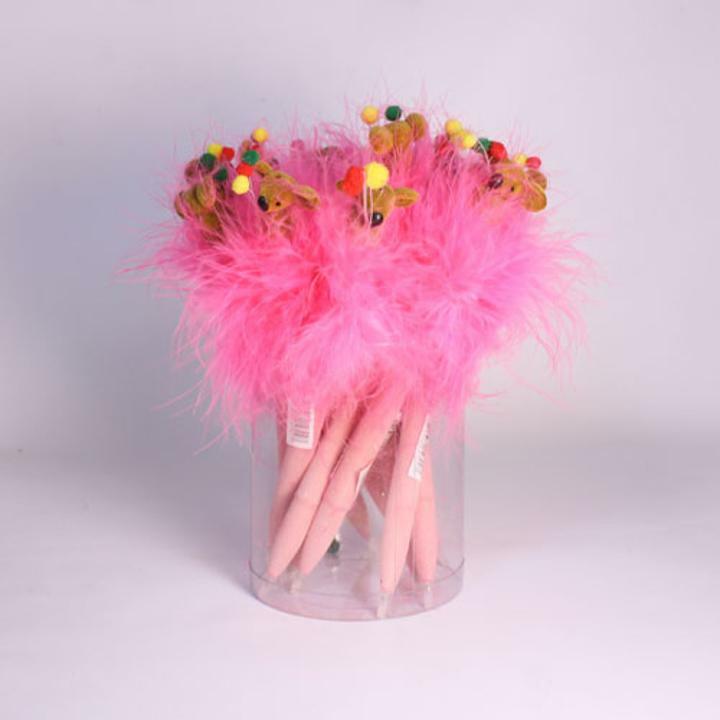 Fuzzy pink pens are great for birthdays, parties and events. Keep them on hand for everyday use, kids will love em! Each pink fuzzy pen measures 8" long.